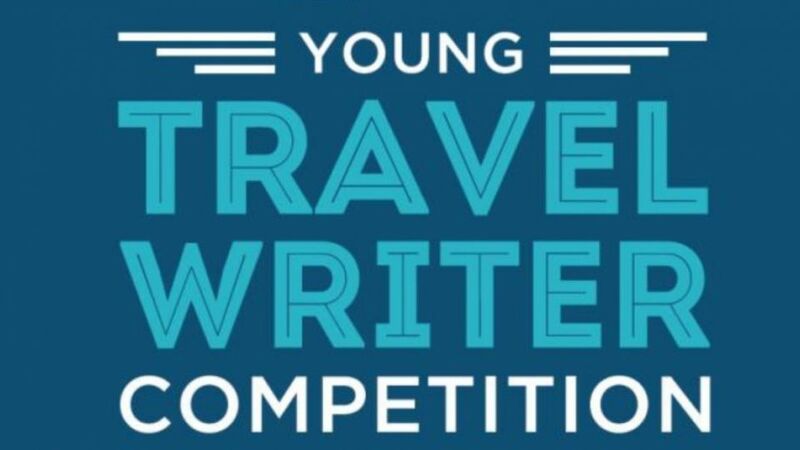 By entering the Young Travel Writer competition (the competition) you are agreeing to the following terms and conditions. 1. Instructions on how to enter, prize details and other information contained within the promotional advertisements form part of these terms and conditions. By participating in this competition entrants agree to be bound by these terms and conditions. [ABN 98 008 667 632]. 3. The competition Sponsors are Australia’s Coral Coast, Canon Australia (ABN 66 005 002 951), Camera Electronic (ABN 11008747831), Kings Park and Botanic Gardens (Botanic Gardens and Park Authority). 4. The competition is open to all secondary students in Western Australian schools. 5. The competition entry period commences on Saturday February 17, 2018 and concludes at noon on Friday, March 9, 2018. 6. To enter the Young Travel Writer competition, entrants must send their entry text and images to youngtravelwriter@thewest.com.au within the competition entry period. No alternative methods of entry will be accepted. 7. Entrants must include details such as to accurately identify themselves (including name, school, email address, phone number) so that they may be contacted if they are chosen as a winner. a 300-400 word story about your local, interstate or overseas travel experience or destination. a title for your story, eg. The Point of the Pinnacles. may be portrait OR landscape in orientation. a caption for each photograph. 9. Multiple unique entries from individual students will be accepted. 10. No joint entries will be accepted. 11. Entrants MUST inform their parents or guardians of their intention to enter the competition, have their permission BEFORE entering and confirm that is the case in their entry. 12. By submitting an entry, each student grants The West Australian, its related companies (as defined in the Corporations Act 2001, Cwth) and the competition Partners/Sponsors a royalty free, perpetual, non-exclusive and world-wide copyright licence to use and reproduce the content of their entry for any purpose and in any medium. 13. Students must submit their own photographic images to avoid potential issues pertaining to copyright. 14. The West Australian and the competition sponsors accept no responsibility for publication of images where copyright is not held by the entrant. 15. Winners will be chosen based on the quality of their writing and image(s), as well as creativity and originality. Canon PowerShot SX60 HS digital compact camera. An exclusive workshop with The West’s Travel team to learn more about travel writing and photography. The chance (at the Editor's discretion) to have an extract of their entry published in a special edition of The West Australian’s Travel section. Unfortunately, not all winning entries may be published due to space limitations. The prizes are subject to the standard terms and conditions of the individual prize and service providers. • Go ‘on assignment’ to Australia’s Coral Coast with The West’s Travel staff. • Meals, travel insurance and other travel costs are covered by the Promoter. Only a small amount of money should be taken on assignment by winners for personal items. • The assignment starts and ends at Perth Domestic Airport. Transport to and from the airport is the responsibility of the winners. • The West Australian will liaise with the winners’ parents/guardians regarding supervision and all other arrangements to do with the 'assignment'. • Have their travel story published in The West’s Travel section. 18. The competition judging will take place between noon Friday, March 9, and 5pm Thursday, March 15. 19. Representatives from The West’s Travel team will select ten finalists from those entries submitted, based on quality of their writing and image(s) as well as creativity and originality of the entry. 20. Judging for finalists will be conducted based on submissions only. The student’s name, age or school will not be a factor in the selection of winners. 21. Finalist must be available to attend the exclusive Travel Writing workshop on Friday, April 6, at Kings Park to be eligible for their prizes and the opportunity to be selected as a winner of the major prize. 22. Representatives from The West’s Travel team will select two winners from the finalists, based on their performance and output at the exclusive Travel Writing workshop. 23. As this is a competition based on skill and creativity, this does not preclude immediate family members of The West Australian or competition partner organisations from being able to enter the competition. 24. The finalists/winners and their schools will be notified within five business days of the completion of judging. In the instance that the finalists/winners cannot be contacted on the phone number or email address provided within one week of the finalists/winners being selected, new finalists/winners may be drawn in the same manner as detailed in Clauses 19-22. This will be repeated until all finalists/winners have been selected and notified. 25. It is a condition of entry that all prize winners agree to have their winning entry, name, photo, school and suburb published for publicity purposes if required. 26. By participating in this competition, participants signify their acceptance of all conditions and the requirement to participate in promotional activity if required. 28. If an Entrant or their Legal Guardian does not want their details to be used for the purposes stated in clause 26 they must write to The West Australian by email to grace.millimaci@wanews.com.au or post to Grace Millimaci, The West Australian, GPO Box D162 Perth WA 6840 and West Australian Newspapers Limited will ensure that the details are not used for that purpose. 31. The Promoter’s decision on all matters related to this competition is final and cannot be contested. No correspondence will be entered into. The Promoter reserves the right to limit entry or amend these terms if considered necessary without notice. 32. The Promoter is not responsible for any data or other information related to this program that may be lost, damaged as a result of any computer software or hardware malfunction. Any issues occurring as a result of computer problems will be rectified as quickly as possible. 33. All entrants release from, and indemnify the Promoter against all liability, cost, loss or expense arising out of acceptance of any prize(s) or participation in the competition including any third party claims for breach of copyright (see clauses 12 and 13 above) and including (but not limited to) damages (whether under common law or statute) loss of income, personal injury and damage to property and whether direct or consequential, foreseeable, due to some negligent act or omission or otherwise. 34. The Promoter reserves the right to disqualify any individual who the promoter believes has breached any of these terms and conditions, or engaged in any unlawful or other improper misconduct. The Promoter will exercise all legal rights to recover damages or other compensation from such an offender. 35. The Promoter may, subject to State Regulations, terminate this competition at any time at its absolute discretion without liability to any contestant or other person. 36. On completion of the prize draw, all entries will be stored for a 12-month period at The West Australian. This is a mandatory requirement of the Gaming and Wagering Commission Act 1987.